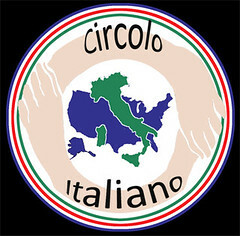 Circolo Italiano, a club created by the Italian Cultural Heritage Foundation of Santa Barbara , began in October 2008. You don’t have to be Italian to belong. The group is open to anyone regardless of nationality, ethnic background, race, religion. 2) be a social club. When and how often will the group meet? Meetings or events will be held about every two months This could change, depending on interest. The time may vary depending on the type of event. Dinner meetings will usually be earlier than those with presentations. How will the group be run? It will have a committee that runs it. Currently there is a small committee setting it up. Of course, we hope the membership will also help out when needed and be involved in planning an exciting schedule. The locations can vary, depending on the event. It has been decided that for the time being there will be no membership fee for Circolo Italiano. What types of things will the group be doing? Events could include (but are not limited to): slideshows, movies, parties, lectures, special events, cooking, etc. How will I learn about the meetings (location, topics, dates, etc.)? To keep the costs low, most correspondence will be via email and the website. We suggest that you join our email list (We will never divulge your email address. We use a listserv that ensures privacy. Bookmark the News or Circolo page.